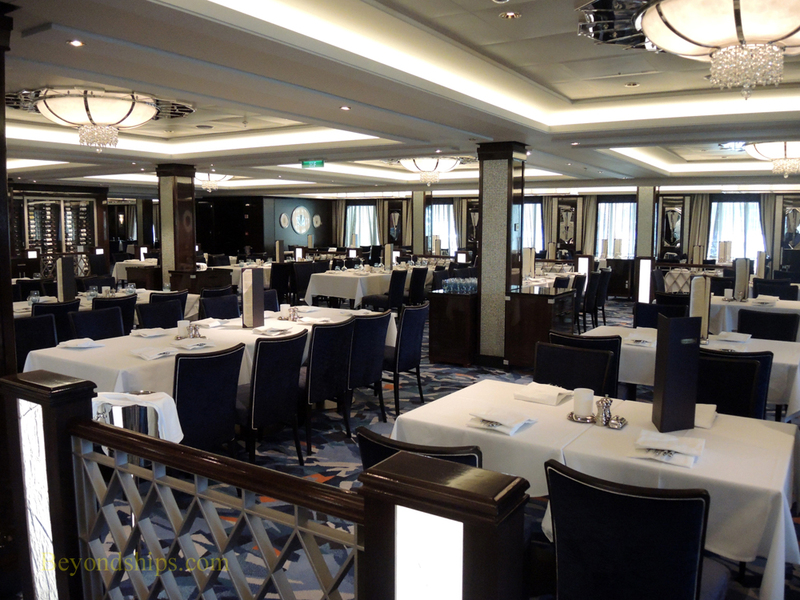 Norwegian Escape has three main dining rooms. All use the same menus. (See our menus page). 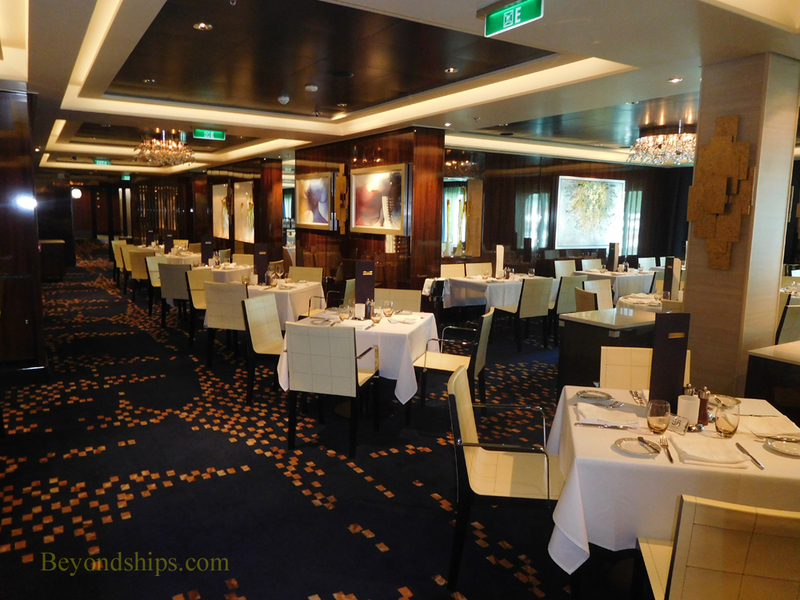 The most impressive of the three dining rooms is the Manhattan Room. 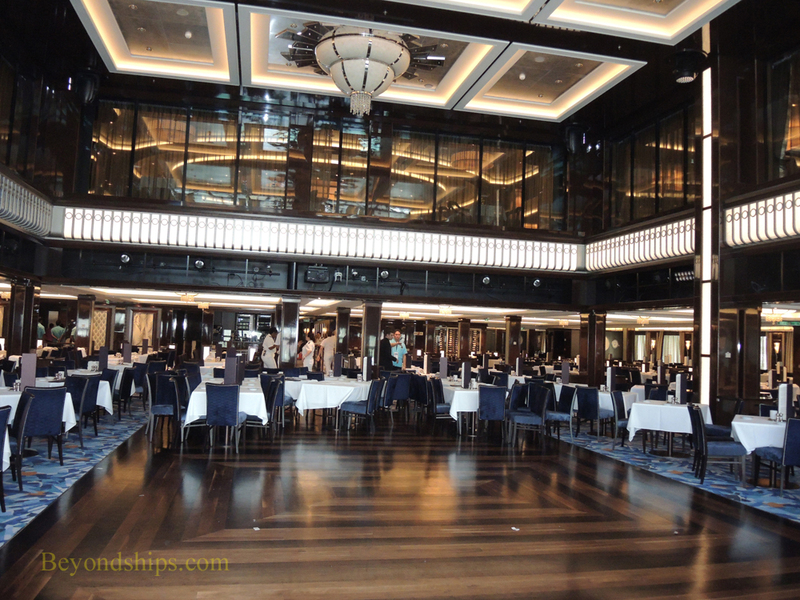 Located at the stern of the ship, the Manhattan Room has the look of an art deco supper club. 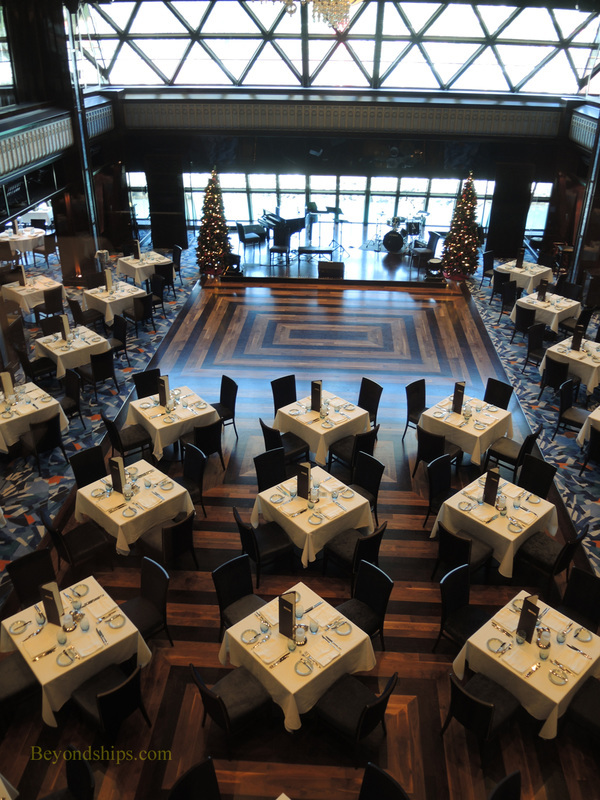 It has a two deck high center section with a dance floor and a bandstand. The room is only open for dinner. 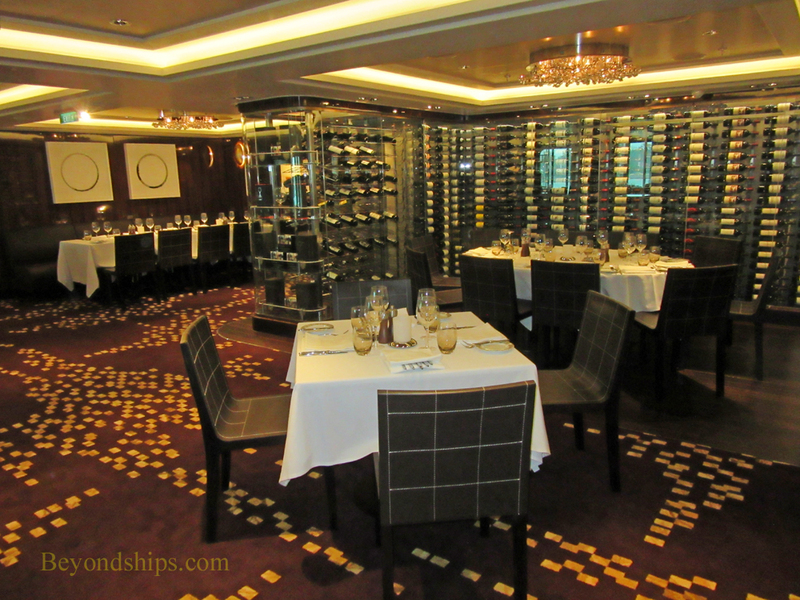 The other two main dining rooms are the very similar Taste (above) and Savor (below). 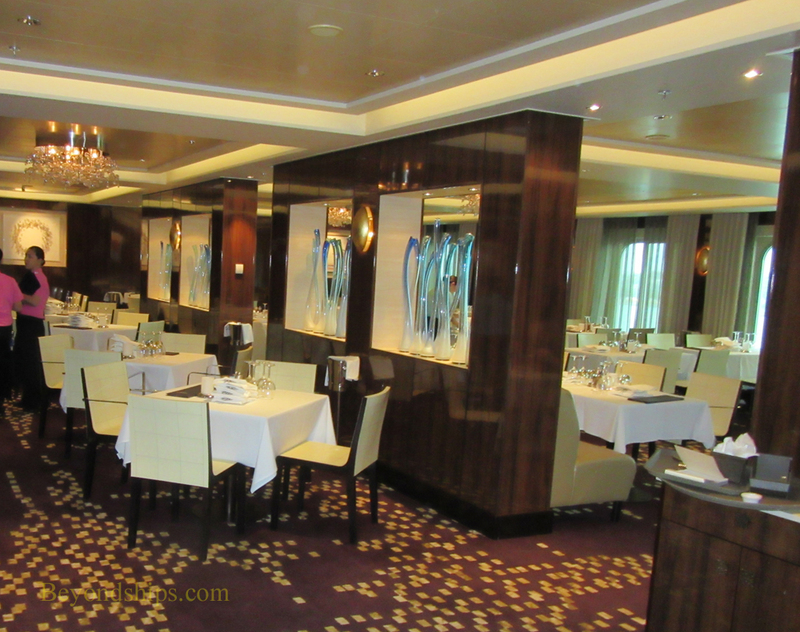 Taste differs from Savor in that it has a lower level envisioned as a dining area for groups and private functions (right). 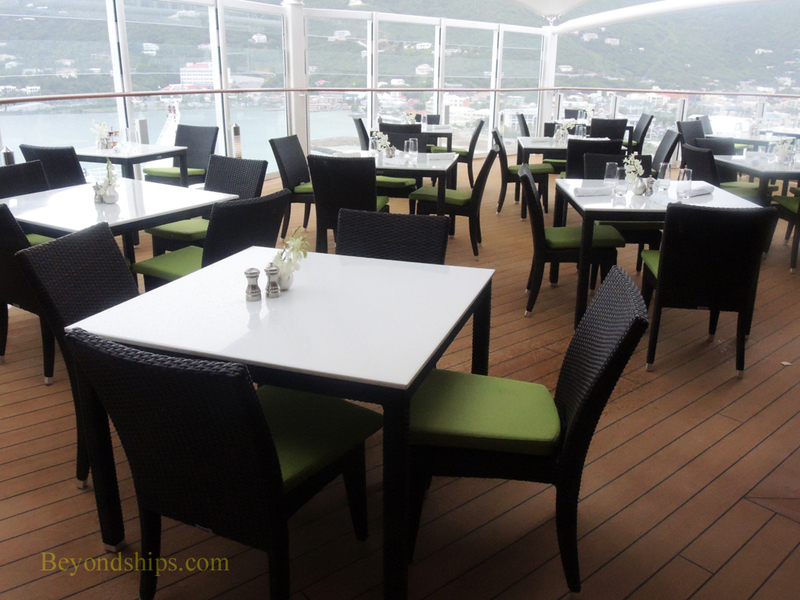 Taste and Savor are open for breakfast, lunch (sea days) and dinner. They have a somewhat more informal atmosphere than the Manhattan Room. 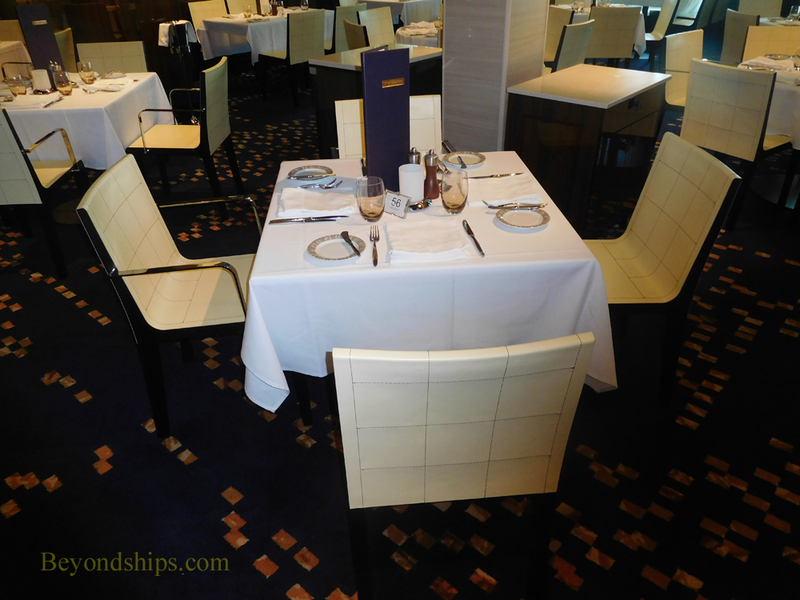 Guests staying in certain suites have access to The Haven Restaurant. 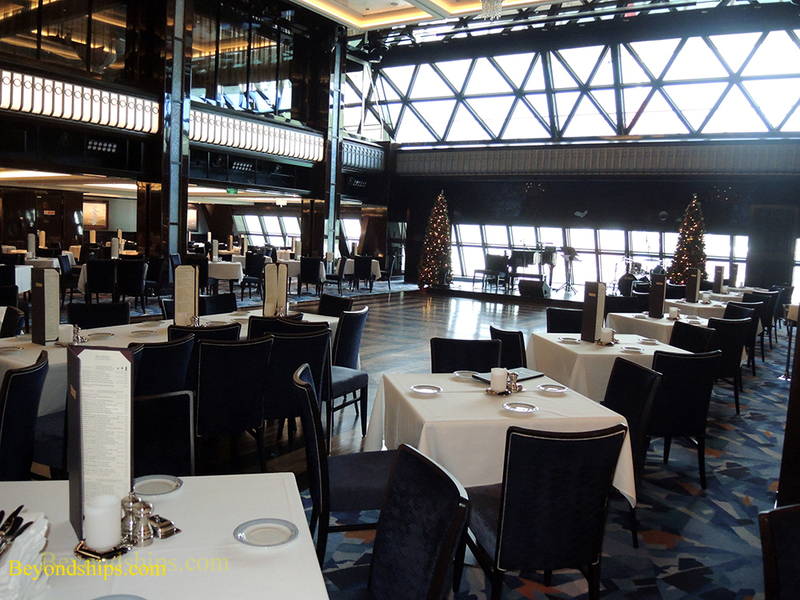 It is open for breakfast, lunch and dinner and uses its own menus. 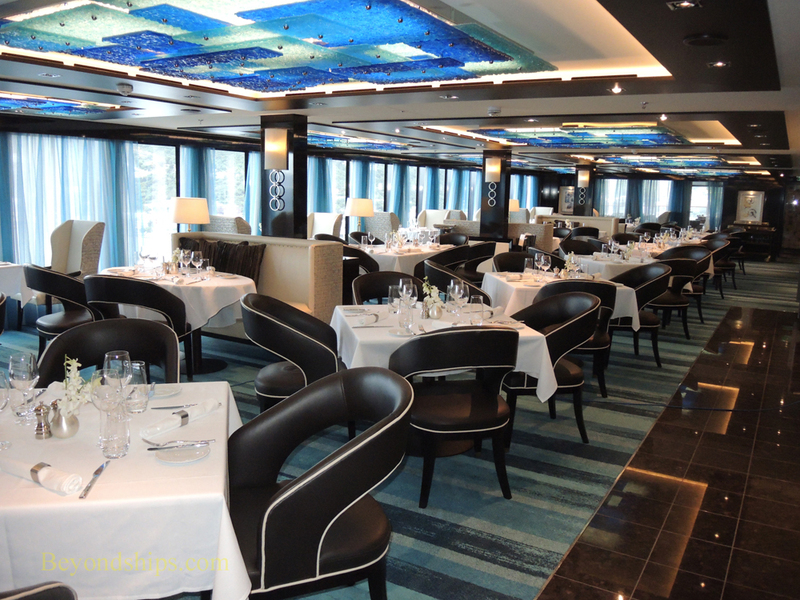 This restaurant is complimentary for suites guests. 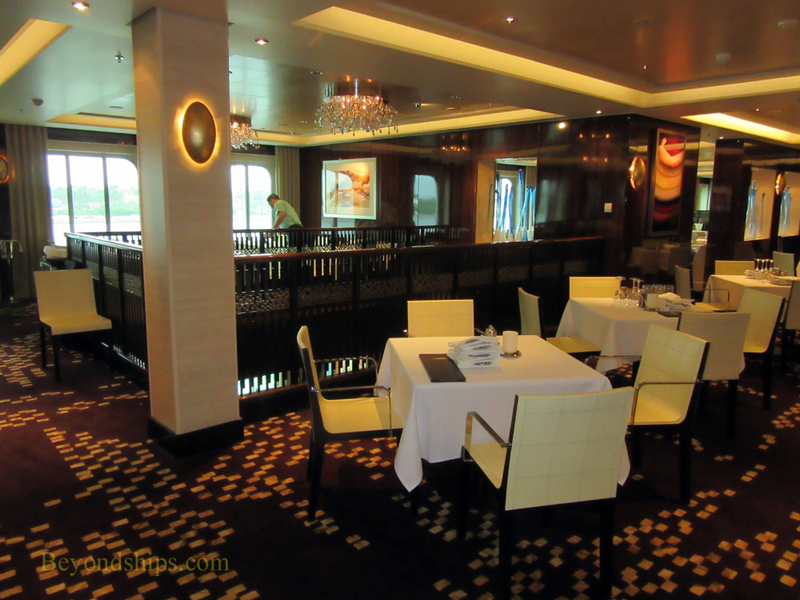 In addition to the luxurious interior room, the Haven Restaurant has its own sheltered outdoor dining area.